Super lightweight and versatile stud earrings feature scratch-finished reclaimed aluminum discs with a non-allergenic Titanium earpost and stainless steel back. Diameter of disc is approximately 11mm. 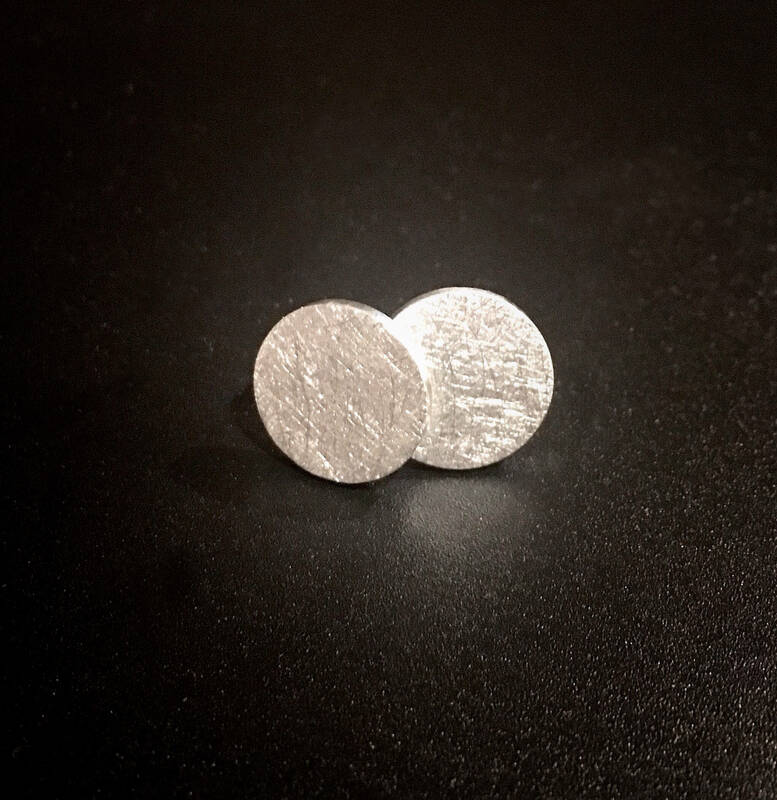 Aluminum is a great choice for earrings as it is lightweight, has a bright white color, and never tarnishes. Available in flat or concave style, please specify. Please allow for slight variations in finish and size.